Welcome to your new home! This beautiful 5 bedroom, 2 bath, 3,408 sq. ft. home in Minneapolis home features a spacious floorplan with large island kitchen featuring island seating, lots of cabinets, tons of counter space, and breakfast area! Relax in the sun-filled family room, or entertain in the formal dining and living area. Gorgeous master suite features stunning spa like retreat with dual sinks, luxurious massive tub, and separate shower. Enjoy hanging out in the massively oversized game room with bar! Spend those warm summer days in your private patio oasis with tons of space! Be sure to schedule your showing today! High-end remodel! 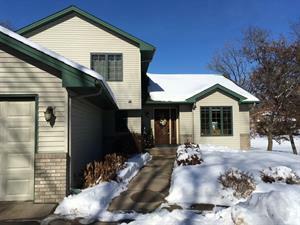 Located in desirable Shorewood on a quiet street. This property is a unique twist of Mid-Century modern and luxury designer finishes. Home directly backs up to Badger Park. Close to Excelsior, Lake Minnetonka, trails, and so much more! Minnetonka Schools with immersion program. Welcome to your 3 bedroom, 3 bathroom, 2,755 sq ft detached townhome. You get the corner lot with mature trees and private driveway. This home boasts an open concept kitchen with Quartz countertops, vaulted ceilings, cherry cabinets and oak hardwood floors. Ownerâ? ?s suite includes double vanity, jetted tub, tile shower and walk-in closet. Lower level has a walkout patio, wet bar, spacious entertainment area, gas fireplace, and large storage area. HOA lawn care and snow removal. Bunker Hills Regional Park, a medical clinic, and a variety of retail shops and restaurants are within walking distance of this home. Donâ? ?t miss out, tour and apply today! Love coming home to your 5 bedroom 2 bath 3090 sq ft home in Ham Lake! Beautiful 2 story home features gorgeous kitchen with granite counter tops & stainless steel appliances, tiled & laminated floors. Spacious owner's bedroom suite has walk-in closet & master bath w/Jacuzzi tub & glass shower. Owner's BR has access to open private deck to sit, relax and enjoy wonderful views. Open floor plan with beautiful finishes says quality throughout. Grab this unique home for yourself! This newer built 2 bedroom townhome features one and a half baths and attached two car garage, an open concept kitchen to living room with lots of big windows for sunshine. 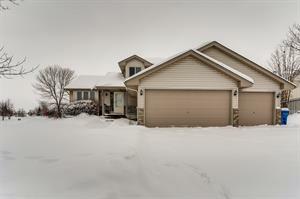 Four bedroom walkout rambler. Main floor master bedroom. Open concept kitchen with granite counters. Great location near Minnetonka Middle School West. Minnetonka School District. Close to Supermarket, Fitness Centers, and Hwy 7 or 5 for commuting.